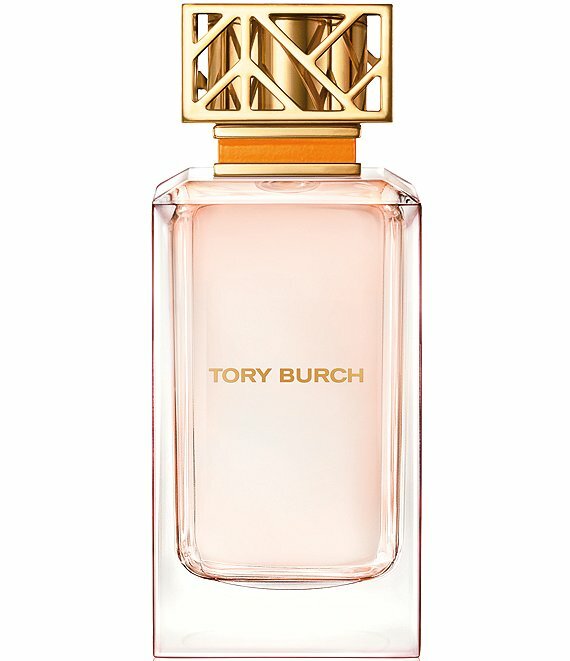 The first fragrance from Tory Burch captures classic elements in unexpected ways. Feminine and tomboy. Easy and polished. Floral peony and tuberose blend with crisp citrus notes of grapefruit and neroli, anchored by earthy vetiver. A bright and complex mix in a super-chic glass bottle with a signature fretwork top. Top Notes: The top notes open with Pink Grapefruit, vibrant Pink Pepper, Blackcurrant, and Neroli for sparkling freshness. Mid Notes: The heart of the fragrance has a bouquet of prized floral absolutes: Peony, Mimosa, Jasmine, and Tuberose. Base Notes: The signature finish is inspired by masculine woods, but is given a modern touch of sensuality: the refinement of Vetiver, Cedarwood, creamy Sandalwood, and the silkiness of White Musk.